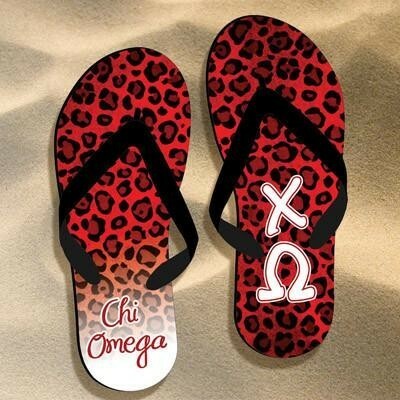 Brand new product exclusive to Something Greek, Chi Omega Cheetah Print Flip Flops! The flip flops will come in the color shown above. 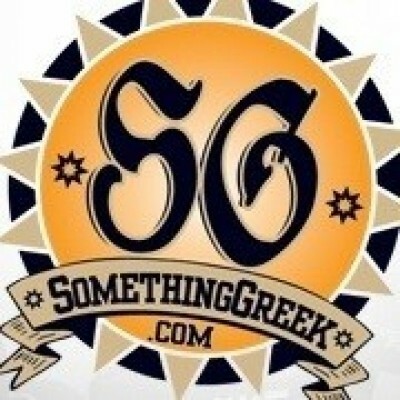 The left flip flop will have Chi Omega written out as shown and the right flip flop will display the Chi Omega Greek symbols. Comes in sizes small-XL and they are made of rubber.